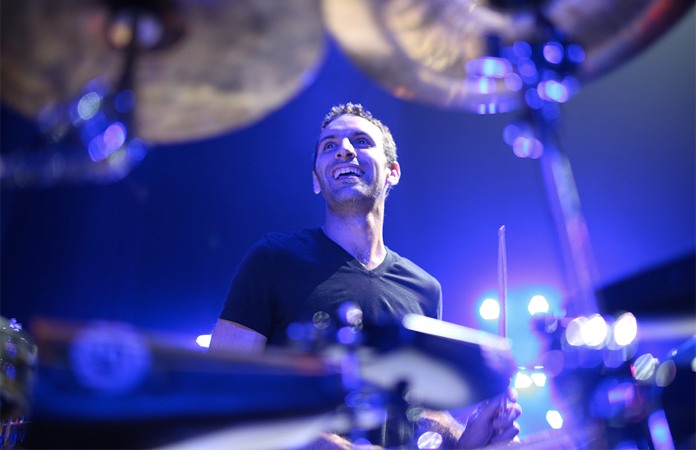 In a world where many drummers and percussionists – indeed many musicians – are scrambling to catch up with the complex of rhythmic intonations, undulations and cadences that were once hidden in the nooks and crannies and the riches of old civilisations Marcelo Woloski is very far ahead of the curve. An Argentinean musician and percussion colourist who employs an enormous aural palette to express himself Mr. Woloski has served up one of the most exotic easily twelve songs ever to make it to record certainly on this side of the Atlantic. In just over half an hour of music on Mundo Por Conocer, Mr. Woloski takes us across a beautiful topography that stretches across the southern part of the Americas all the way to even the Norway of Edward Greig, and across every musical horizon into the brightness of a melodic tapestry woven on the elemental “Sonrisa”. 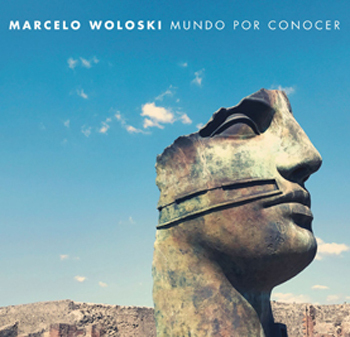 It might seem like a cliché to suggest that cultures collide in music until you have had a chance to listen to Mr. Woloski’s Mundo Por Conocer. The percussionist has quite literally served up a veritable feast for the senses on these twelve songs. Each of the tracks is exquisitely formed and swirls in and out of rhythmic patterns that make it impossible to sit down and still while listening to this music; a particular challenge for reviewers with pen on paper or fingers on the keyboard of a computer, much less endeavoring to do so with eyes wide open. Mr. Woloski’s music can also be extraordinarily visual to be enjoyed with video to go with it and although we know from the record’s packaging that this aspect has been entrusted to the magnificent videographer Andy LaViolette, sadly does not come (packaged) with a DVD. Mr. LaViolette is not the only contributor to this album, however, and there are as many as twenty-fine musicians who’ve contributed their artistry to making Mundo Por Conocer the masterpiece that it is. Among them the multi-instrumentalist Magda Giannikou who first introduced Marcelo Woloski to the world at large through Banda Magda, and who brings the soaring, mellifluous strains of her accordion to five tracks, her high and lonesome vocalastics to three, plays glockenspiel on one and contributes laughter on “Sonrisa”. The constellation of stars also includes Michael League, who fronts Snarky Puppy, the other important gig for Mr. Woloski; and there are stars like guitarist Eric Kurimski, harpist Maeve Gilchrist, trombonist Achilles Liarmakopoulos and pianist/accordionist Vitor Gonçalves, the Japanese wizard Keita Ogawa, who is not unlike Mr. Woloski in many ways, among a slew of other leading lights in today’s music. Throughout this album, one finds Mr. Woloski is far from beholden to tradition alone, as many musicians of an earlier generation would be.